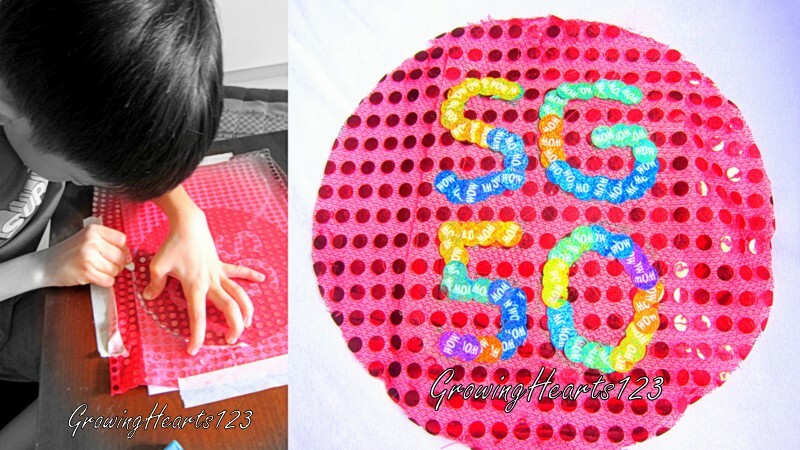 Singapura, Oh Singapura, Ju-bi-lant Island turning 50! It’s our country’s 50 years of independence! Somehow this year jubilee is in the air…. I believe majority if not all schools are doing something to celebrate and commemorate this significant milestone for Singapore. My boy’s school is no exception. The teachers even went the extra mile to get red sequined fabrics to distribute to the P1 classes encouraging us parents to join in the festive mode by personalising our kiddos’ white T-shirts. Initially, I was like…huh?…. Work for us to do? But my boy was excited! After asking for his idea, his enthusiasm rubbed off on me. 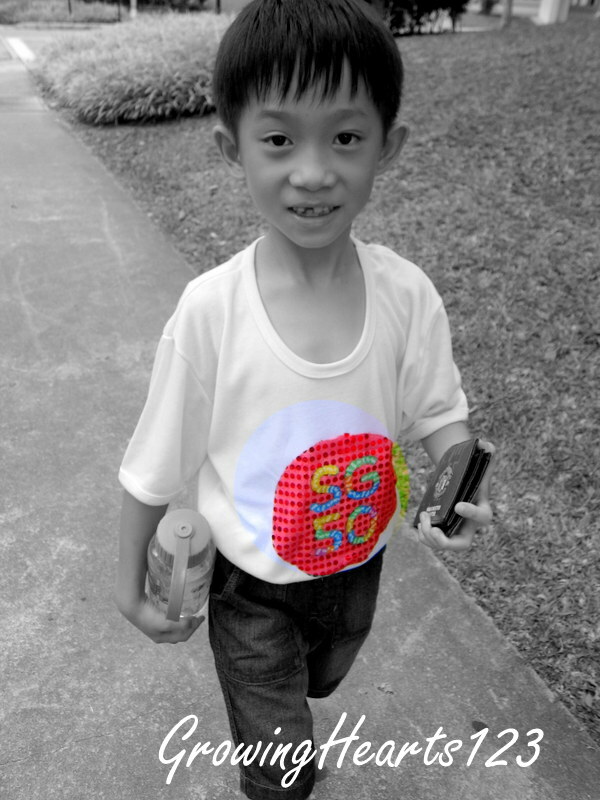 Yes, he wanted an SG50 logo. The school had a full swing of events – Performances from all levels at different timings, aplenty of food, old school snacks and games, jumbo sale and sports game stations. The kids enjoyed themselves thoroughly and cheered when Kor Kor A went up stage to dance his ‘Rasa Sayang’ dance with DIY maracas. Papa also managed to join us from his work. 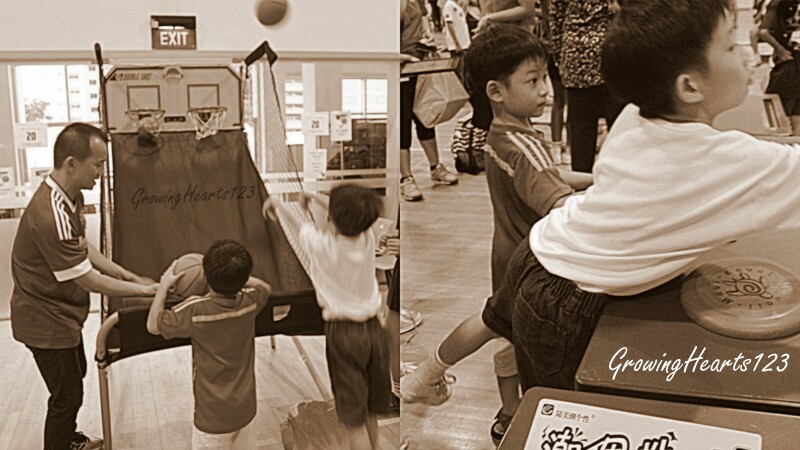 This basketball game was definitely a hit! From my first parenting experience of a Primary One kid, read Olympics Day. I was more pro-active and prepared to give my full support to A’s events in school. 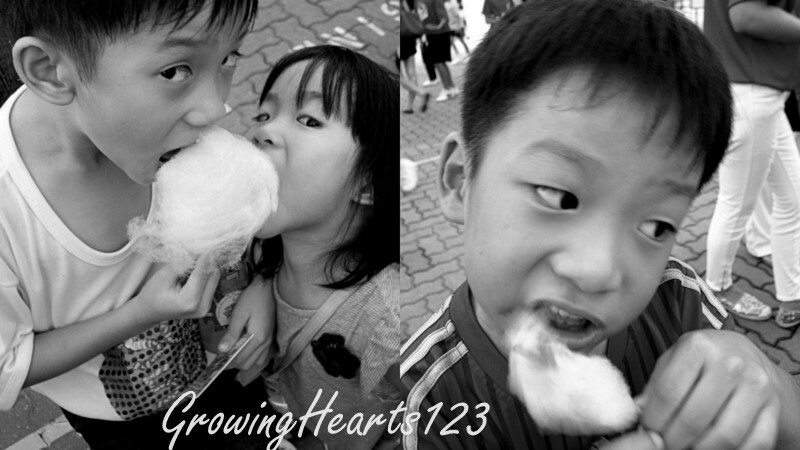 My hubs also made special efforts to attend the carnival. We want all our children to know that their school events are as important to us as it is to them. J commented that how come we are not going for his school’s party. I explained that his school did not invite parents. It made me realise that in their lil hearts, they really want us to be proud of them, to notice their role in whatever it was in school. It doesn’t matter if my kid was dancing at the corner or being a prop for all I care. To our children, we are their world. Our family is thankful to God for blessing us with Singapore as our home. 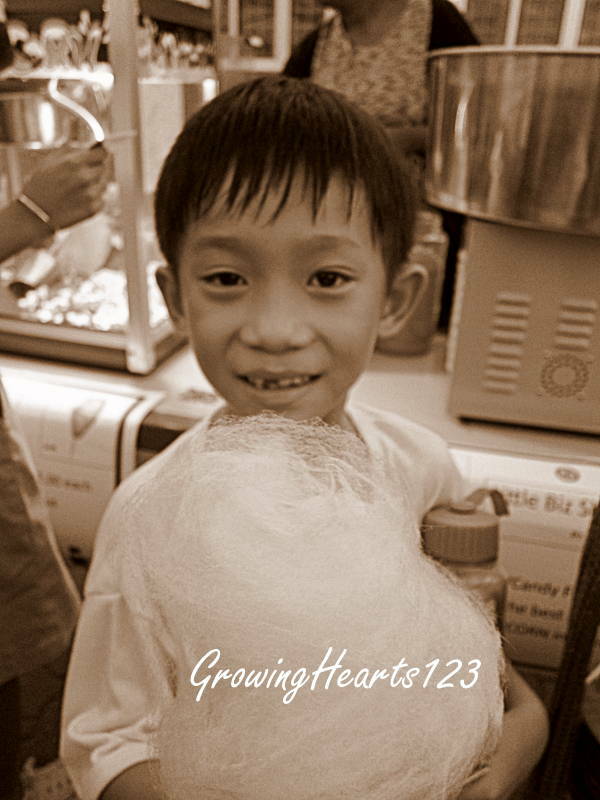 We are Proud to be Singaporeans with our strengths and weaknesses and all. 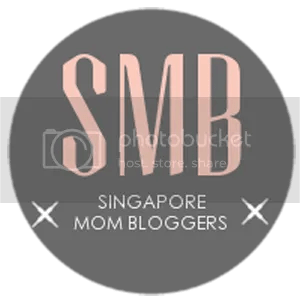 For those who are unfamiliar with our little red dot, do pop over to Mummy In Transit who weaves our Singapore Story sharing my sentiments alike. Malmal Our Inspiration tickles our senses with her lyrical shots of Singapore as she rides around our little town. We’re gonna do our little tour this weekend with loads of free and exciting places to celebrate as One! Previous Art There Something Fishy Here?